ON MONDAY, NOVEMBER 26th, following a six-month journey across hundreds of millions of miles of deep space, NASA’s InSight spacecraft will arrive at Mars in suitably dramatic fashion, hitting the top of the planet’s atmosphere at 12,300 miles per hour—several times faster than a speeding bullet—shortly before 12:00 pm PST (3:00 pm EST). If all goes as planned, it will take InSight (short for Interior Exploration using Seismic Investigations, Geodesy, and Heat Transport) just seven minutes to decelerate completely and alight on Mars’ surface. The planet’s atmosphere will do a lot of the work, aided in turn by InSight’s parachute, descent thrusters, and shock-absorbing legs. If NASA can pull it off, it will be the agency’s eighth successful landing on the red planet. NASA and others will be broadcasting news of InSight’s approach, entry, descent, and landing all day long. Here are the best places to keep tabs on Monday’s proceedings in person and online. Tune in here Monday to catch two live feeds from NASA’s Jet Propulsion Laboratory in Pasadena, California. The first will feature live interviews with mission experts between 3:00 am and 7:00 am PST (6:00—10:00 am EST), followed by live landing commentary and news briefings from scientists and engineers between 11:00 am and 12:30 pm PST (2—3:30 pm EST). The second will be an uninterrupted feed of cameras from inside JPL Mission Control, featuring mission audio only, during the same time window. Notification of the landing is expected to arrive at Mission control around noon PST, but if communication with the spacecraft is delayed, NASA might not know InSight’s status for hours or even days. For this reason, the agency has penciled in a post-landing news conference for no earlier than 2:00 pm PST. From the NASDAQ Screen in Times Square, to the California Science Center in Los Angeles, to the Max Planck Institute for Solar System Research in Göttingen, Germany, live viewing parties will be taking place all over the world on November 26th. NASA has compiled a handy list of no fewer than 80 such events, complete with addresses and contact information. The agency is updating the list daily, so if you don’t see anything near you today, be sure to check back in the days ahead. You can also check with your local museum to see if they’ll be hosting a landing party. If you’ve never been to a watch party for a Mars landing, we highly recommend it. After all: They don’t happen very often! Take a tour of the cleanroom where NASA prepared InSight for launch. The agency went to extraordinary lengths to prevent Earthborne microbes from contaminating the spacecraft and, potentially, Mars. 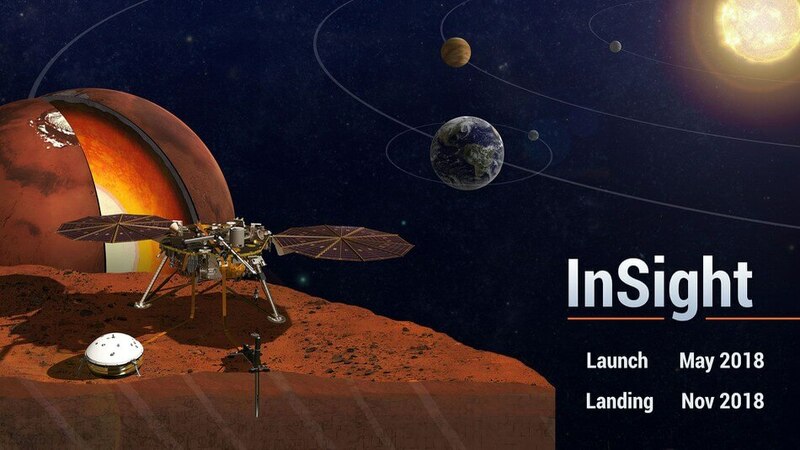 InSight will be the first mission to peer deep into Mars’ interior, a sweeping geophysical investigation that will help scientists answer questions about the formation, evolution, and composition of the red planet and other rocky bodies in our solar system.